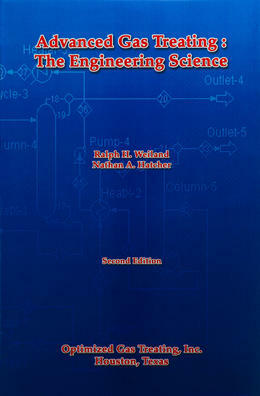 Optimized Gas Treating, Inc. proudly introduces the Second Edition of Advanced Gas Treating: The Engineering Science. Most of the developments in gas treating over the last 30 years have been driven by energy conservation and improved selectivity towards hydrogen sulfide, but have not been well documented in a single source. This latest hard-bound edition is intended to make it easier for process engineers, especially engineers new to gas treating or with only minimal gas treating experience, to develop and maintain the degree of expertise needed to perform at a high level of excellence.